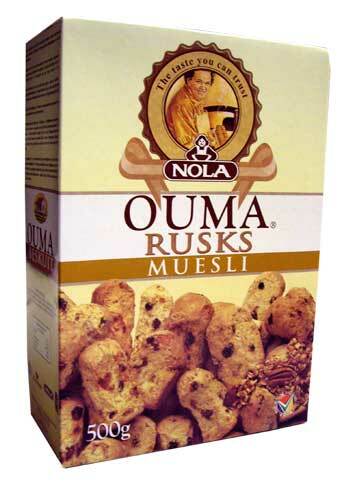 Since 1939, Ouma Rusks have been a trusted brand and one that seems like part of the family. The muesli variety is made with raisins, peanuts, oats and coconut is a well rounded and tasty rusk. Wheat Flour (Gluten), Muesli (13%) (Raisins, Sultanas, Peanuts, Oats, Coconut), Sugar, Vegetable Fat (Palm Fruit, TBHQ), Raising Agents (E450, E500, E120), Salt, Flavourings.